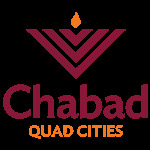 Jewish Kids Club - Chabad Lubavitch of the Quad Cities. Spend a Sunday the fun way! Join us once a month for a club meeting at Chabad, 2233 E. 58th St.